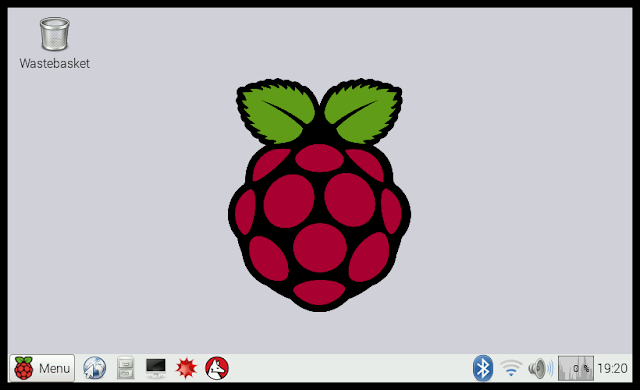 This will instruct your Raspberry Pi to download and install the latest updates for all the software installed on your system. This may be a large download and may take a while. Once again as it is progressing you will see a lot of text scrolling up your display screen. This will install a graphical management utility for Bluetooth. 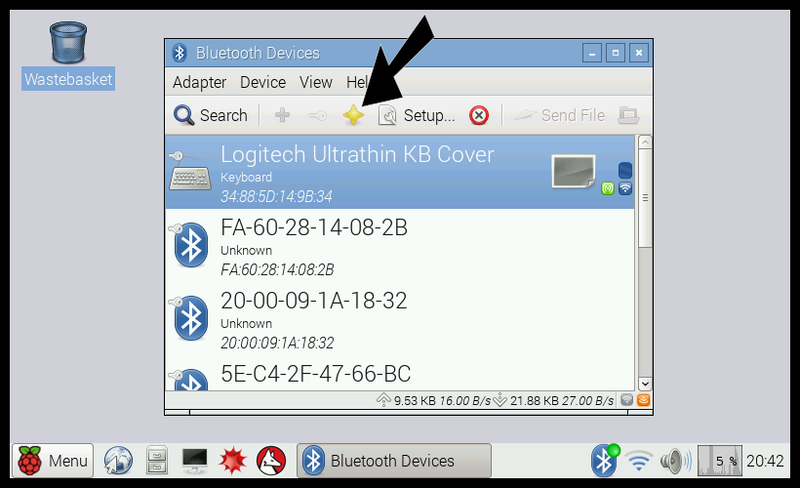 You should find that the Bluetooth manager loads automatically, as shown by the Bluetooth symbol on the menu bar. 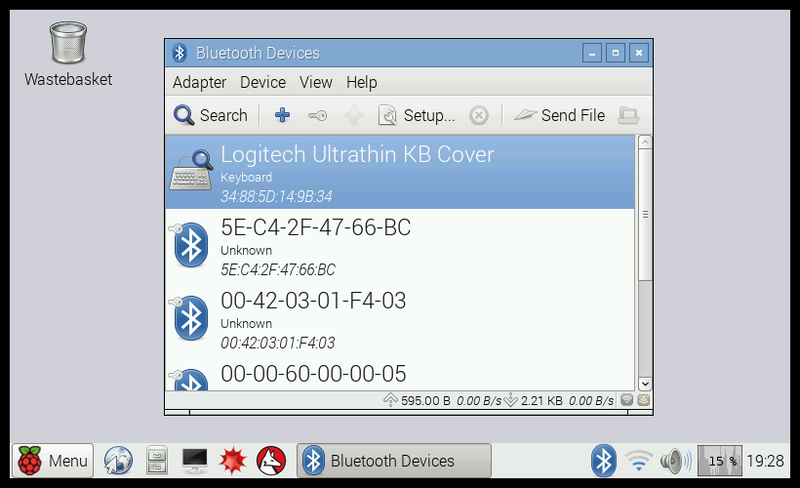 Click on the Bluetooth Symbol to launch the graphical management utility for Bluetooth. You should see a window listing a number of Bluetooth devices. Select your Bluetooth keyboard and click on "Setup". 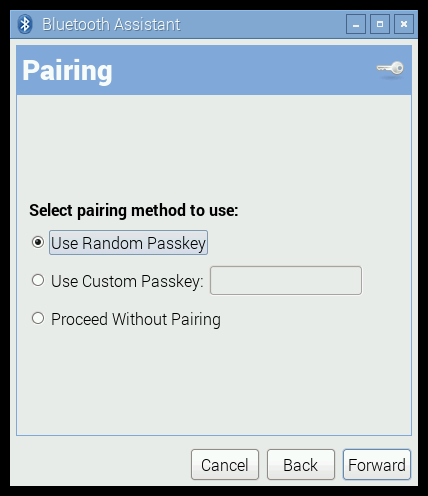 A window entitled "Pairing" should appear. Leave the pairing method as "Use Random Passkey" and click "Forward". You will be prompted to enter a passkey on the Bluetooth keyboard. Enter the passkey and press Enter. 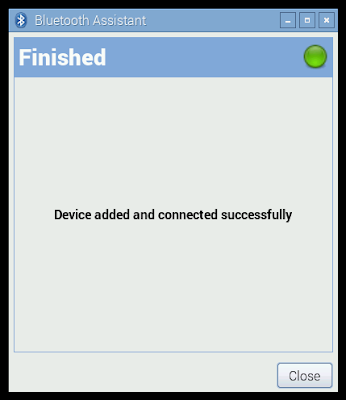 You should now receive conformation that the device has been paired and connected. Click "Close" to exit setup. Finally mark the Bluetooth keyboard as "trusted" by clicking on the gold star. Now every time to power up your Raspberry Pi it will look for the Bluetooth keyboard you have just configured. When you come to login there may be a short delay before the Bluetooth keyboard connects, but if you wait a couple of seconds and try again it should work. Very useful little guide, Tom. Thanks. Very useful post, especially since the method of loading the bluetooth utilities has changed recently. Unfortunately, I'm still having difficulty pairing my sharkk keyboard. 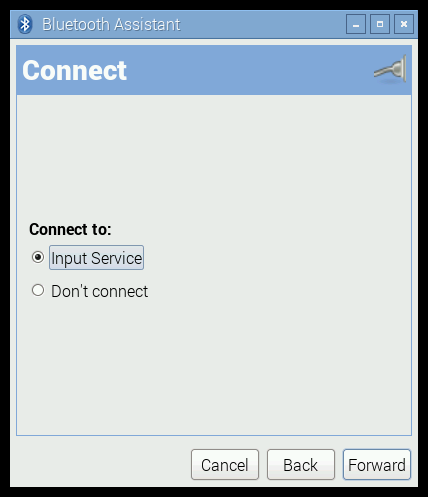 Not sure it's the Pi's fault though, it doesn't seem to get the passkey even though it claims it has a signal. Thanks for the very helpful post. 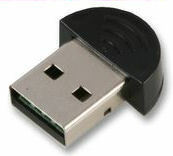 I've just purchased a Logitech K400 Plus, and I simply can't get my Raspberry Pi 2 to recognise the adapter. When I lsusb I see that the system recognises the adapter. However, none of the hitherto methods described on the forums work. When I run a hcitool scan, it returns nothing. Any help would be very appreciated. I suppose the keyboard isn't compatible with the raspberry pi? Could be.